Grab a spoon! There's plenty for everyone! Blessed with amazing DNA, I am not compelled to start the digital mining of my nostrils at 55mph. However, this rampant phenomenon needs to be explained. Therefore, for the betterment of all society, I will give you a free physics lesson. We will cover the dynamics of relativity, light and the refraction properties of glass. We will all attempt to stay awake. Let’s start with relativity. You are driving your car, or, as we can think of it in this case, a metal display case constructed with perpendicular viewing windows allowing 360 degree observation from anyone around you. You are travelling at the magic number of 55 miles per hour. I am also travelling at 55 miles per hour. I am approximately twenty feet to your right. We are both travelling the same rate of speed. Relatively speaking, we are both standing still. In other words, I am twenty feet away from you and you are burying your finger knuckle-deep into your dainty nose. By the way, your manicured nails have beautiful flower decals. The nine I can see anyway. Conclusion: If we were both standing 20 feet apart and you are aggressively mining mucus monsters, I can see you as clearly as, well, someone gleefully, unremorsefully picking her nose 20 feet away. ***NOTE: I can also see you because I am not blind. Blind people seldom drive cars. Next is light. Because it is daytime, the sun’s rays illuminate the interior of the car, allowing the rods and cones of my retina to register your finger swiveling around with an urgency that makes me wonder if there is something alive in there trying to escape. Reason tells me otherwise. Conclusion: Light makes things visible, and hence, I can see you clearly digging for something akin to gold, although from your enthusiasm, I wonder if perhaps it isn’t more valuable. And lastly, Refraction of Glass. The quality of optical materials is measured by how much the material divides light into spectral components. Glass is a very efficient transmitter of light. If you had windows made of lead, you could pick your nose with impunity, but it would be very difficult to drive. Notice how life is a series of trade-offs? Now adjust your lead-goggles and read on. Because glass is such a good transmitter, it means that I (and everyone that passes by) can see that you are involved in a finger ballet that would make Baryshnikov cry with delight–except that he would be nauseous because you just can’t seem to stop digging into your head like a starving vegan spooning a Tofurky. Conclusion: Yeah, we can still see you. I hope this has been helpful for those of you who have questions about the physics involved in a moving vehicle and your confusion about becoming invisible at 55mph. Next month we will discuss the physics of the windowless steel box and methane, more commonly known as the elevator. This entry was posted in Kinda Funny and tagged DNA, funny, humor, light, nose-picking, physics, refraction, tofurkey.. Bookmark the permalink. I read this right before dinner. Not only is this post good for explaining science, it is also good for generating weight loss. 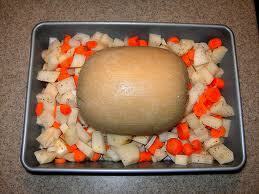 Sorry I was going to upload a pic of a woman driving in a car, but I couldn’t get past that genuine pic of Tofurkey. That photo is from a real recipe. Delicious. For a minute I was worried you’d spotted me.